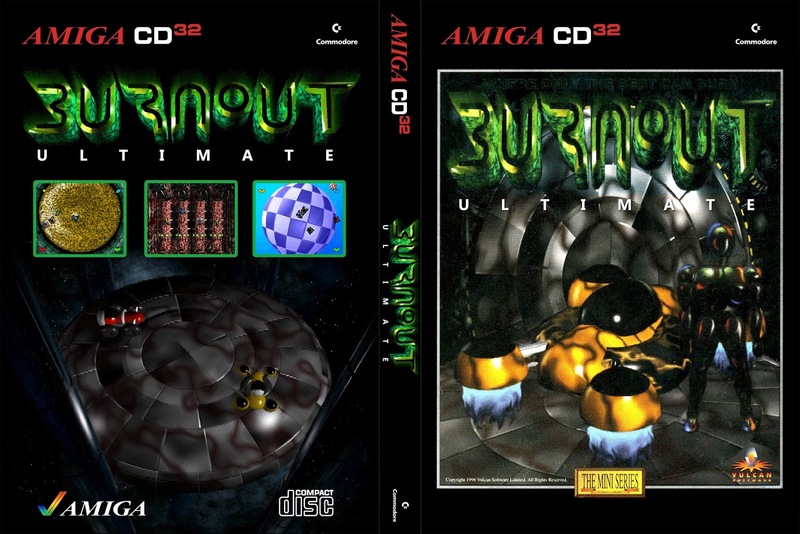 Burnout is a game from late in Amiga's run (part of Vulcan's "MiniSeries" label), a frantic and graphically superb vehicular Battle Royale and one of the very few commercial games for the Amiga that absolutely required Fast RAM to run. As such, this is the first release on the blog that requires an expanded CD32, both the brand new TerribleFire expansion and more classic expansions like the SX-1 or SX-32 should work fine. 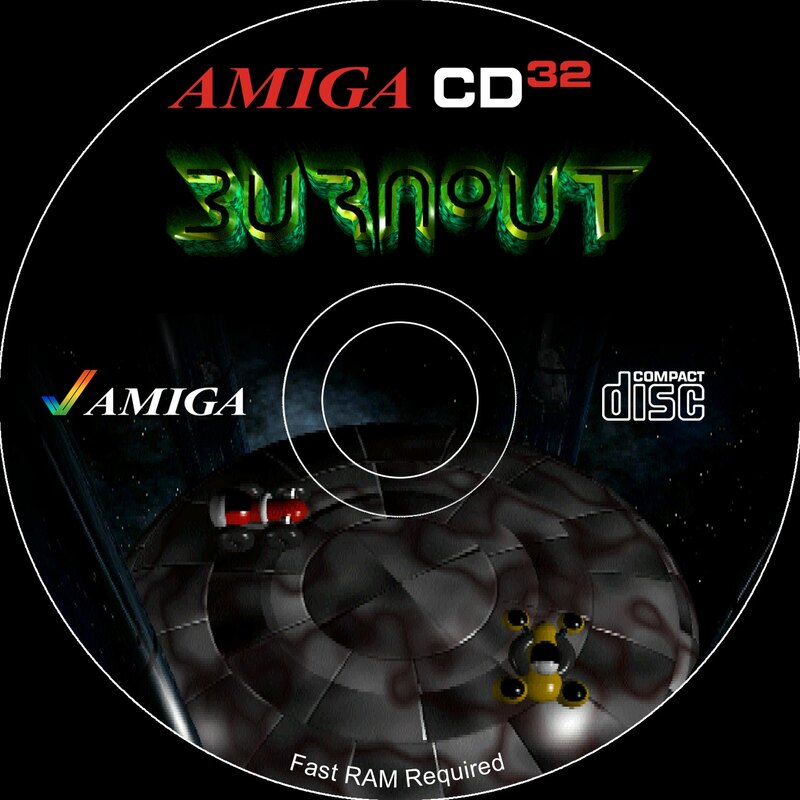 Four custom made arenas feature in this release, three of them have been featured on Aminet but the fourth is exclusive to this disc. 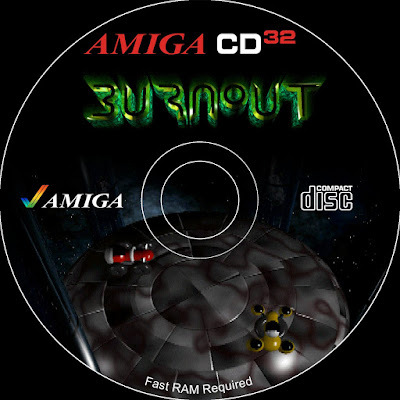 With cd32 promodule are run? I think so, I can't guarantee.